These two colorful greeting cards were created with Design House Greetings for their exclusive Trader Joes greeting card line. These cards first became available at Trader Joe's in Summer 2016, but make occasional appearances in Trader Joe's today. 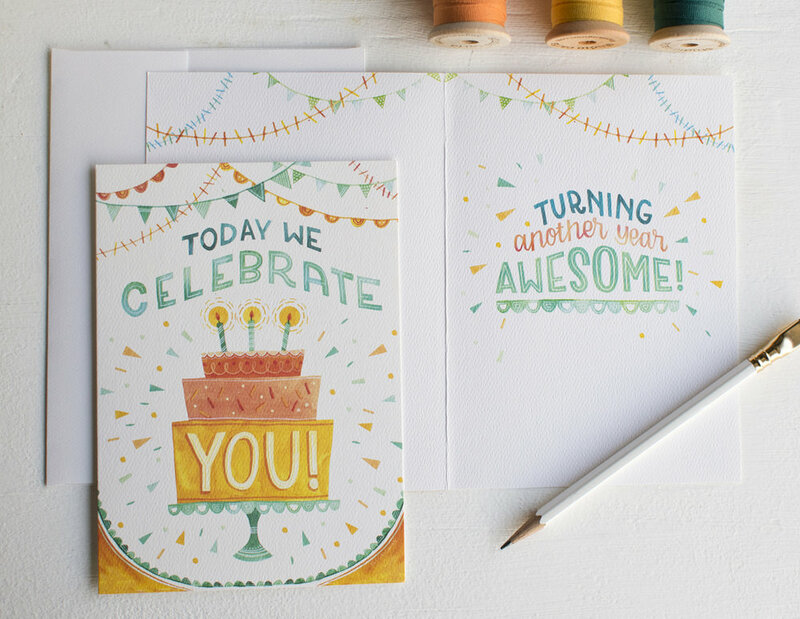 The "Today We Celebrate You" birthday card is printed on lush textured paper and the everyday "Hello" flowers in the envelope card is printed on beautiful semi-gloss paper.